52 people registered to attend the event and 82%, 41 people, turned up on the day. The 18%, 9 people, who did not turn up were aged above 70+. The morning was clear and dry and the sun was out. 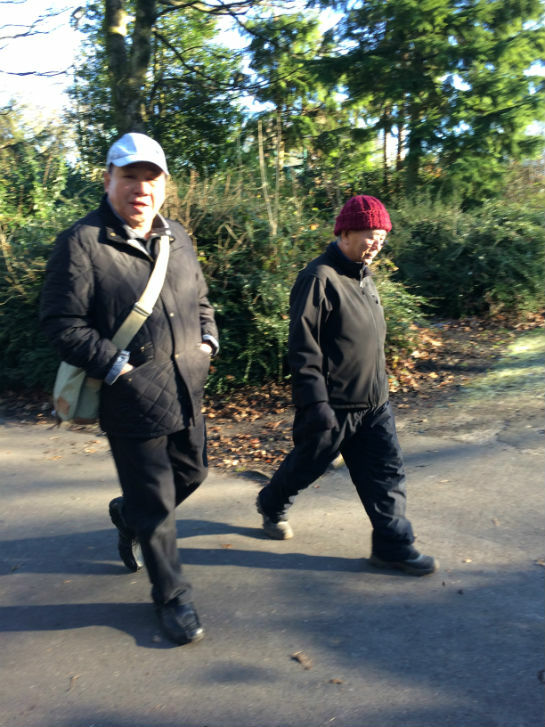 A coach was hired and two staff from CHIC took the elderly to Stamford Park in Stalybridge for a walk. 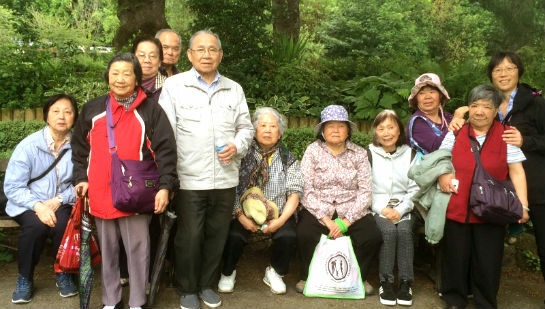 The elderly came from the Chinese community in Manchester. 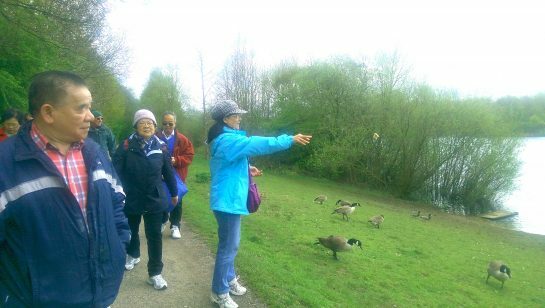 They all walked through the park, enjoyed seeing the trees and plants, and watching the ducklings playing in the icy pond. They were chatting and laughing away, enjoying themselves. After they had walked for one and half hours, they were taken to the Glamorous Restaurant for a late lunch. 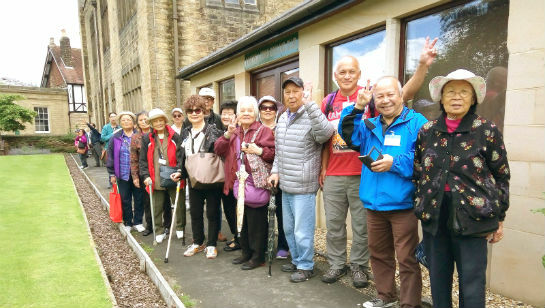 The trip was very successful and the verbal feedback was very positive that all the elderly had thoroughly enjoyed the walk. Of the 41 older people, 83% (34) were female. 61%, 35 people, were aged over 70+; 32% (13) were aged between 60-69; and 7%, (3) were aged 50-59. 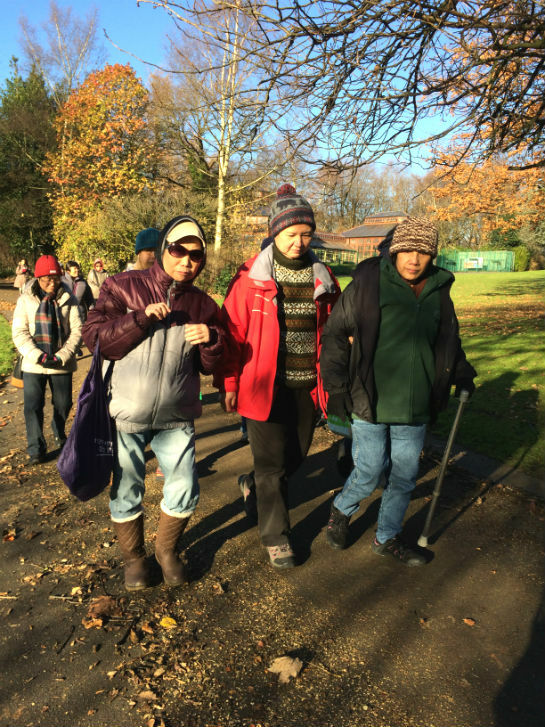 66% (27) of the elderly came from different parts of Manchester including the City Centre, Cheetham Hill, Moston, Ardwick and Rusholme etc. 34%, 14 elderly, came from Greater Manchester areas including Rochdale, Oldham, Tameside, Sale, Stockport and Salford etc. 31%, 16 elderly, came from Yours Tung Sing Housing Association. 2016年11月29日,由中心兩位職員帶領41位華人長者乘坐旅遊巴士前往觀看Stalybridge的士登褔公園步行,是日早上,難得天朗氣晴, 長者們漫步遊覽園中的樹木 湖中的鴛鴦鸭子嘻戲, 一路行有講有笑, 非常開心. 之後, 由旅遊巴士戴他們去金煌大酒樓飲茶及購物. 長者們回報很亨受是次活動項目. 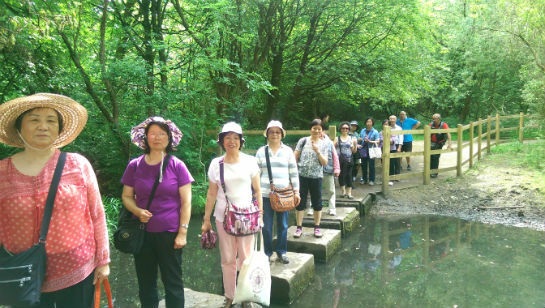 Day Trip in Bakewell and Buxton 105 people took part on 25-6-2016. 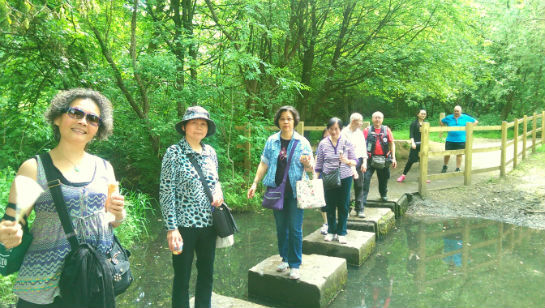 An event was organised by CHIC for the older people to go for a day trip to Bakewell and Buxton on 25th June 2016. 105 people (including 93 (89%) CHIC’s users and 12 (11%) staffs and volunteers) took part in the day event. The day was sunny ending with. Free lunch was provided. Verbal feedback was very good. All participants reported they had a very good time. 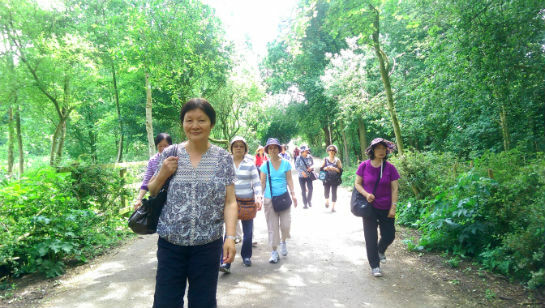 Sale Water Park Health Walk on 7th June 2016, 15 people attended. The day was dry and sunny. 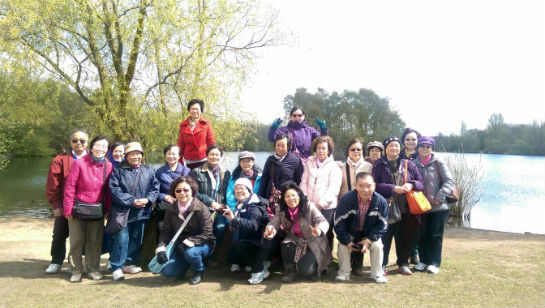 A group of 15 members from the local Chinese community in Manchester, was led by CHIC staff to Sale Water Park. 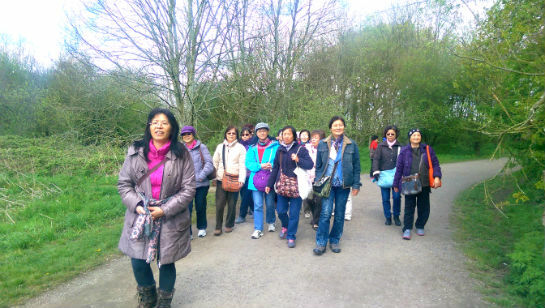 They all reported enjoyed the one and half hour walk. ‘Cancer symptoms Awareness’ Training For staff, volunteers and health interpreters on 28th May 2016, 13 people attended. 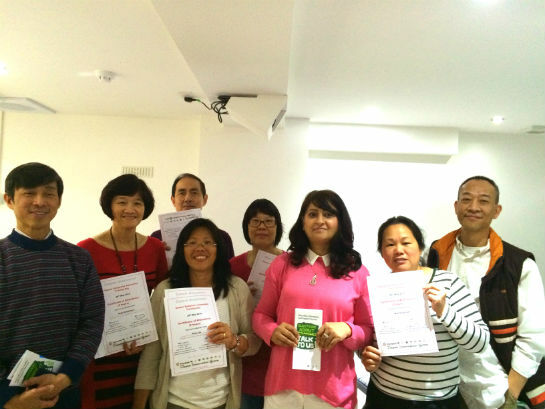 CHIC provided a Cancer Symptoms Awareness Training on 28th May 2016 for staff, volunteers and health interpreters. The speaker was Nabila Farooq from the Macmillan Information & Support Service of MCC. 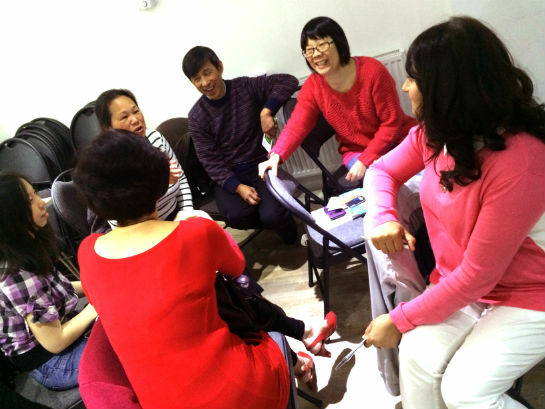 Nabila spoke in English and she covered a wide range of different types of cancer symptoms. Group discussion took place which generated a lot of interest. Feedback was very positive. 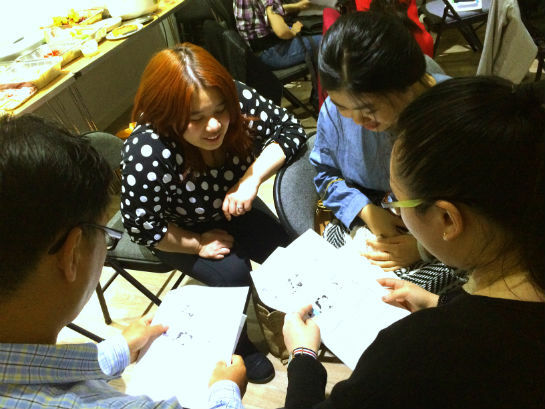 All participants reported that the training was good and they all had learnt much.